Polotsk is an obligatory stop for every tourist visiting Belarus. 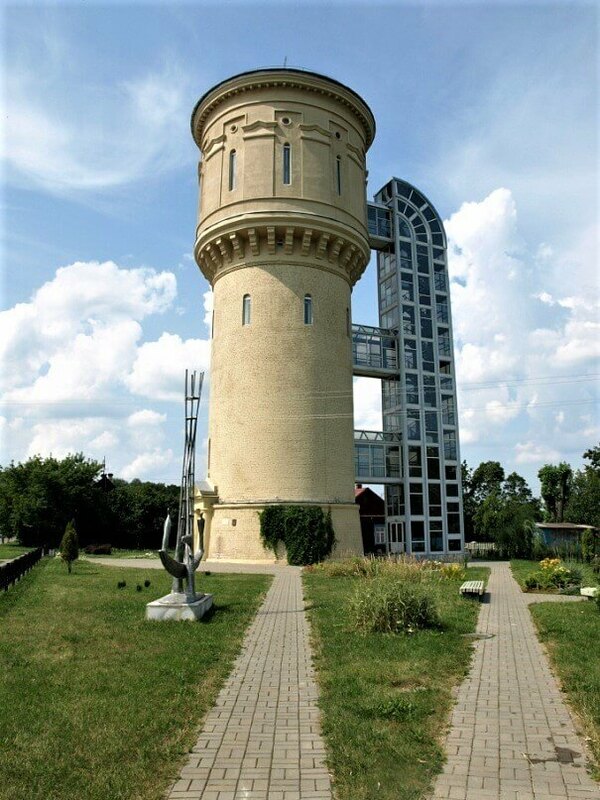 The oldest city in Belarus with a wide range of attractions on the Polota river bank is one of the most important places in the history of Belarus. Learn more about the history and main attractions of Polotsk in this article. This city is the first Belarusian capital and spiritual home of Belarusians. For the first time, Polotsk was mentioned in the “Tale of Bygone Years”, in the year 862, which makes it the oldest city in Belarus. It was founded by the krivichi tribes on the shores of Western Dvina river, where the Polota river flows into it. Interesting fact: the name of the Polota river comes from the word “palte” – the word of the Baltic origin, which means “swamp”, “swampy lake”. Now, let's talk about the main things to do in Polotsk and interesting places of the city that you have to visit! 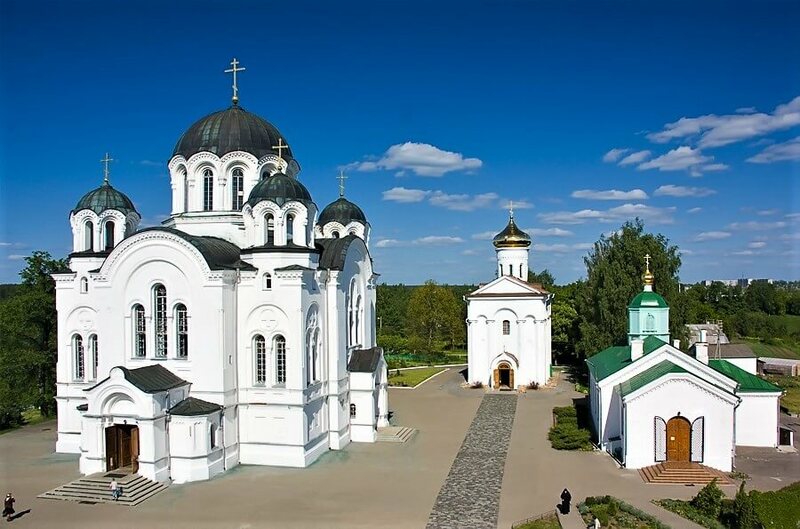 Beautiful cathedrals and monasteries of Polotsk are preserved till our days. 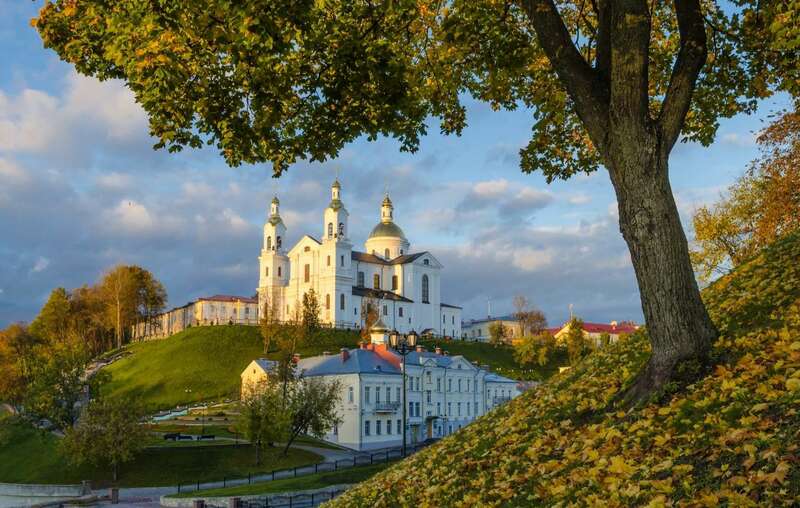 The most famous landmark of the town is St. Sophia Cathedral, located on the bank of the Western Dvina river. It was created in the 11th century. Polotsk Sophia cathedral is one of the oldest ones in Eastern Europe. Unfortunately, it doesn’t have many original elements left from those days. However, you can find some original murals, including two copies of frescos, works of Leonardo da Vinci – “The Last Supper” and “Saviour”. St. Sophia Cathedral (built between 1044-1066, destroyed in 1710, restored in the style of the Vilno Baroque in 1738-1750) is one of the earliest temples of Ancient Rus along with the Kiev and Novgorod Sofia cathedrals and the oldest stone building on the territory of modern Belarus. Interesting fact: Unfortunately, only the foundation from the 11th century St. Sophia Cathedral and a 9-meter apse on the eastern facade have been preserved. This apse is the oldest stone structure on the territory of modern Belarus. Nowadays, the St. Sophia Cathedral is open as a museum, there is also an organ hall, where music festivals are held every year. There is a number of other architectural monuments near the St. Sophia Cathedral. There is an art gallery in the building of the Jesuit collegium, and an exhibition called "A Walk along the Lower Pokrovskaya street" in the house of Peter I. As it is not difficult to guess, this house got its fame due to the fact that in the 18th century the Great Russian Emperor stayed here. 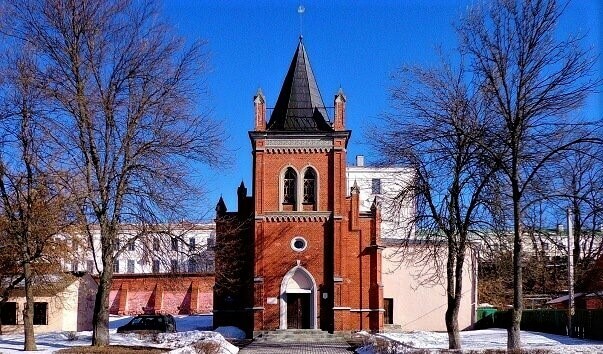 Polotsk is the Mecca for Orthodox Christians arriving throughout the year to the St. Euphrosyne convent. The Spaso-Preobrazhenskiy Temple is regarded as the main pearl of it. Here, the relics of the venerable Euphrosyne of Polotsk, the founder of the monastery are stored. This woman was nominated as a Saint and became a nun being 12-year old, only not to marry a man she couldn’t love. Learn more about orthodox shrines of Belarus in our pilgrimage route. In 1161, according to her order, the master jeweler Lazar Bogsha created a cross – a masterpiece of ancient jewelry art. However, in the years of the Great Patriotic War it was lost, now the museum has its exact copy. The tourists are attracted by the building of the former Lutheran church. Now there is a Local Lore Museum here. The exact date of its discovery is December 18, 1888, 10 am. In the post-war period, there was a city cinema operating in the church, and later it became a grain storage. Since 1948 to the present day, the Local History Museum of Polotsk is located here. The exposition of the museum has many exhibits: various archaeological finds, ethnographic materials, collections of bonistics, photographs, weapons, household items, materials on the history of the war of 1812, which allow acquainting the tourist with the peculiarities of political, social, economic and cultural life of Polotsk. An unusual building houses a branch of the National Polotsk Historical and Cultural Museum. 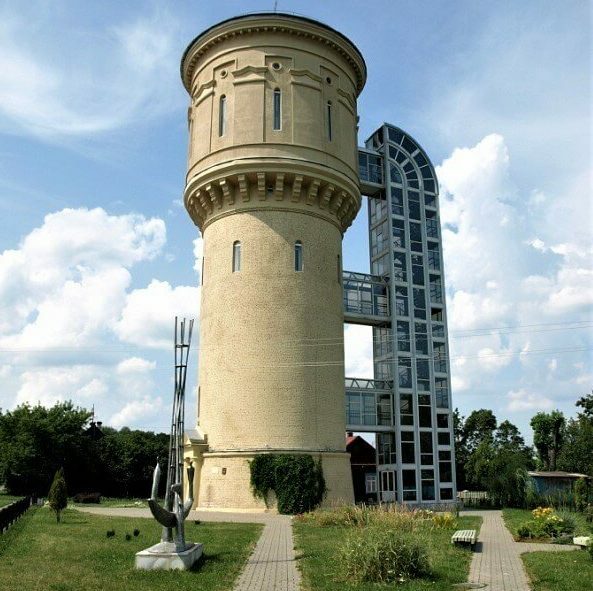 In the premises of the former water tower in 2006, the Natural and Environmental Museum was opened. The tower itself was built in 1953 and reaches 32.7 meters in height. In the center of the museum building is a spiral staircase, which symbolizes the Tree of Life. A mysterious aura surrounds the so-called Boris rock, which dates back to the 12th century. It is a huge boulder that has a six-pointed cross and the initials of the Polotsk Prince Boris Vseslavovich, as well as the text “Dear Lord, help your servant, Boris, Ginvilov’s son”. Its purpose and origin still remain unknown to historians. Interesting fact: some scientists believe that Boris rock served to mark trade routes on it. According to another assumption, these were sacred stones on pagan temples, and letters and cross were applied in the process of Christianization of the population. 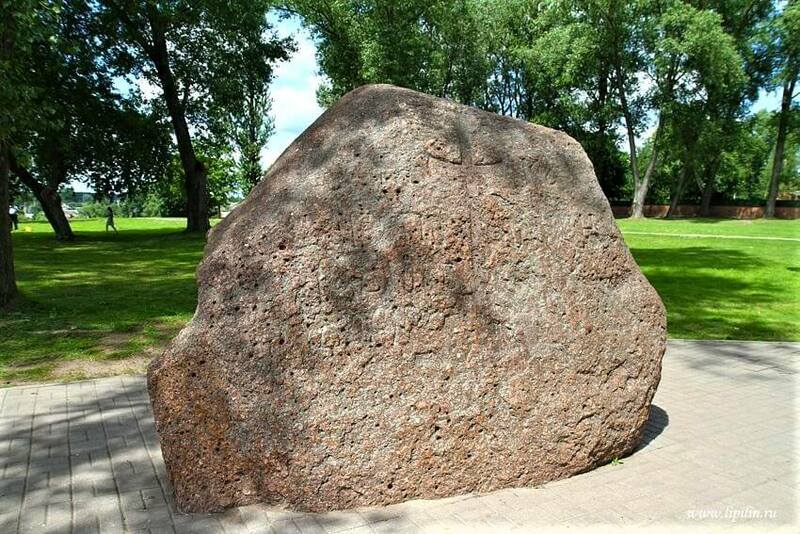 Boris rock is also popular because there is a belief that if you touch it and make a wish, it will come true. Polotsk has another unique attraction. This is the monument dedicated to the letter “ў” that only real Belarusians can pronounce. It was erected in the days of Belarusian literature and beside it, often gathers philologists and writers competing in the pronunciation and writing poems in honor of this letter. Linguists say that no other Slavic language has such a letter. The history of Polotsk relations with knights is shown in the Museum of medieval chivalry. It consists of three rooms, showing armor and medieval instruments of torture. The whole environment of the Museum and folk music correspond the atmosphere of those times. Here, you are allowed to take pictures without restrictions, and at the entrance, anyone can buy an amulet or charm as a souvenir to remember Polotsk. In the spring of 2008, it was established that the geographical center of Europe is located exactly in Polotsk. 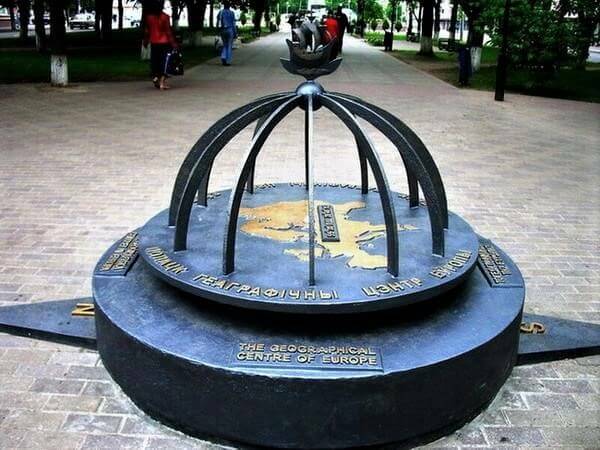 In the same year, a memorial sign “Geographical Center of Europe” was erected on this site. Now tourists who visit this place can receive a memorable certificate that they visited the very “heart” of Europe. Another attraction of Polotsk is the Red Bridge across the Polota River. It was named so in memory of the brutal battle of 1812 between the French and Russian troops. Since it was the only bridge across the river, its wooden flooring was soaked in blood. In 1975, a reinforced concrete bridge was built in this place, with the recreated former decor elements and a commemorative plaque saying: “Through this bridge, Russian troops under the command of General Wittgenstein and the detachment of the Petersburg militia after fierce battles 6-8/19-21/October 1812 entered the city and freed it from the enemy, thereby beginning the expulsion of Napoleonic troops from the Belarusian land. Since that time, in memory of the dead and spilled blood, this bridge began to be called “Red”. It was our overview of attractions of Polotsk and other interesting places to visit in the city. Hopefully, now you would like to visit this ancient city, at least because it is the center of Europe. Read about other interesting places to visit in the region: Vitebsk or the Braslav Lakes National Park. Have a great trip! Plan your trip to Polotsk now!